You cannot fully understand the difficulty of a condition unless you’ve suffered it yourself. There is no condition for which the above phrase rings truer than a digestive one. Having problems with digestion is a formidable challenge. Not only do digestive problems affect both waking and sleeping moments, they are often embarrassing. It can feel difficult to find allies, and even more difficult to find effective solutions. The digestive tract is an interesting animal, and it doesn’t always respond to treatment the way you’d hope. After a while, it may feel like you’ve tried everything. Our integrative medicine center is dedicated to changing that. We discussed the process of acupuncture in our last blog. The thin, tiny needles that get inserted into specific points can completely turn your body around. Eastern medicine says that the needles address imbalances of energy. Western medicine says the needles help your immune system, hormone levels, and neurotransmitters address troubles in your body’s system. However you want to come at it, acupuncture has worked for centuries, and it works today. 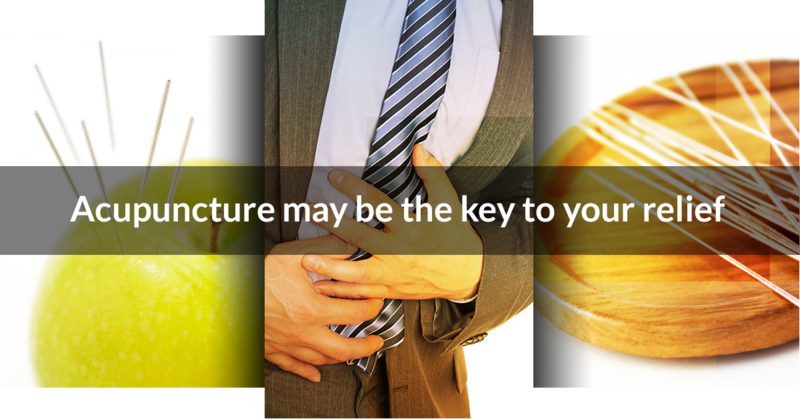 Your digestive system is having trouble for a reason, and it may not be what you think. When you have digestive problems, it’s very likely that your body’s regulatory systems are having trouble and the system is snarled up. Acupuncture can help those systems reset and refresh, leading to effective relief. Acupuncture is a worthy option for many reasons, particularly its ability to free people from medications with ugly side effects. Medications may manage symptoms, but they often come with repercussions that cause more problems. Acupuncture, on the other hand, addresses the underlying issue. Acupuncture is always worth a try! It’s time to leave band-aid solutions behind and enjoy true relief. Contact our compassionate staff in Washington D.C. to get started today!